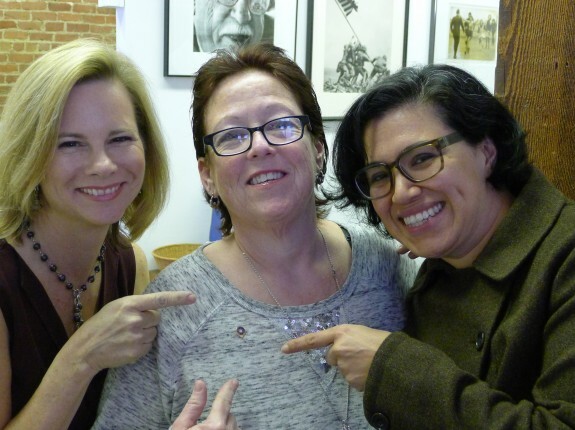 Guild staff Kat Anderson, Margo Brenes and Eva Vargas celebrate Brenes’ 40 years as a Guild member. Photo by Carl Hall 2014. Margo Brenes, long-time Guild membership coordinator, celebrated 40 years of union membership Tuesday. In 1974, Brenes began her career at the Newspaper Printing Company during the 2 for 1 circulation campaign. She worked in various circulation jobs until she landed in the paper’s credit department in 1977. In 1992, former Guild executive officer Doug Cuthbertson hired Brenes to help with membership. We honor Brenes for keeping it in the family all these years. Congratulations!